Dr. M. M. Amjad Hussain started his career as a Doctor in the Pakistan Army Medical Corps in 1950. He left the army three years later and started a business in Chittagong, the port city of Bangladesh. In 1958 he established an export oriented company in Chittagong by the name of “Pakistan Kapok Mills Limited” and started exporting Kapok fibers to USA. In 1962 he founded a textile company named “Alhaj Textile Mills Limited” which, at the time, was the largest textile company in Bangladesh. In 1967, he set up a jute mill named “Alhaj Jute Mills Limited”. Dr. M. M. Amjad Hussain was the founder and the managing director of both the textile and the jute mills. After the independence of Bangladesh all textile and jute mills were nationalized by the government from 1974 to 1982. During that time he was involved in trading. After denationalization, he became the managing director of both the textile and jute mills until November 1991. 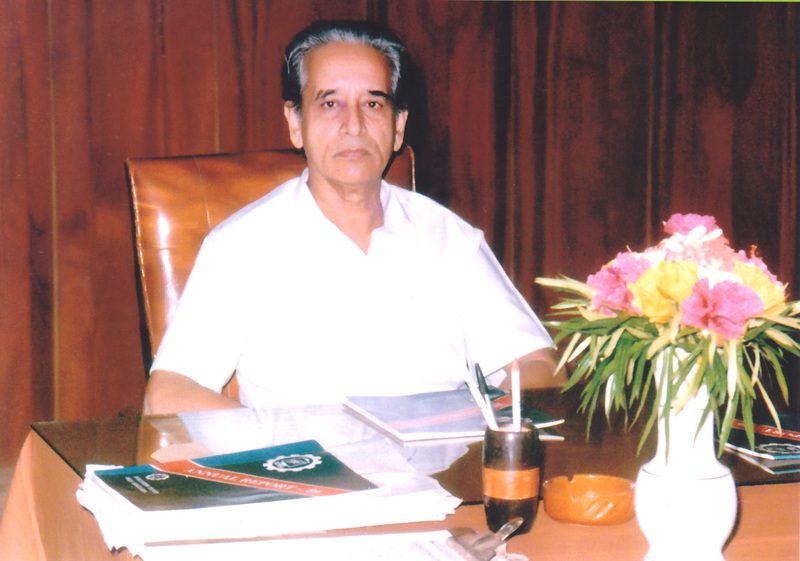 Dr. M. M. Amjad Hussain was also the former chairman of the Bangladesh Textile Mills Association. In 1980, he started a pharmaceutical company called “Drug International Limited” which became one of the leading pharmaceutical companies in the country. The company expanded its activities by setting up a second unit under the name “Drug International Limited, Basic Chemical Division” in 1997 in order to produce bulk medicines. It was one of the largest bulk drug manufacturers in the country. The company inducted another unit named “Sterile Unit” which commenced its commercial operations in 2000. In 1998, ATI Limited was established as a software development house. It is now one of the largest software firms in the country. ATI Limited has an educational and training division for the development and enhancement of employee skills and knowledge in the field of computer science. Also in the year 2000, another company named “ATI Ceramics Ltd.” was established in the district of Gazipur, to produce ceramic and granito tiles. This is currently the only granito tile manufacturer in the country. Dr. M. M. Amjad Hussain had also set up a girls’ high school in his mother’s name in 1956. “Meher-Un-Nessa Girls High School” at Enayetpur, Sirajganj was the only girls’ school in the vicinity at the time. “Drug International Ltd. (Herbal Division)” was founded with a vision to bring herbal remedies to society in a contemporary form and to unravel the mysteries behind the 5,000 year old science of natural medicine. This involved referring to ancient herbal texts, selecting indigenous herbs and subjecting the formulations to modern pharmacological, toxicological and safety tests to create new drugs and therapies. Since it’s inception, the company has focused on developing safe, natural and innovative remedies that will help people lead richer, healthier lives. Drug International Limited (Herbal Division) is now registered with the USFDA.